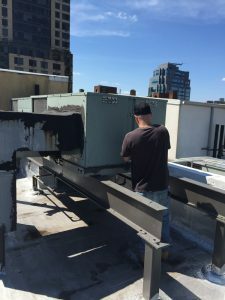 Our HVAC technicians know how uncomfortable those humid New York summer nights can be, which is why we conduct weekly training sessions for completing HVAC repairs as efficiently and accurately as possible. Our licensed, expert technicians have the expertise and equipment necessary for completing quality, professional HVAC repairs on time and on budget. As soon as you discover a problem with your HVAC System, schedule an appointment with Chelsea Cooling and Heating Services. Waiting to schedule service could cause further damage to your HVAC system, resulting in more expensive repairs and problems at some point.